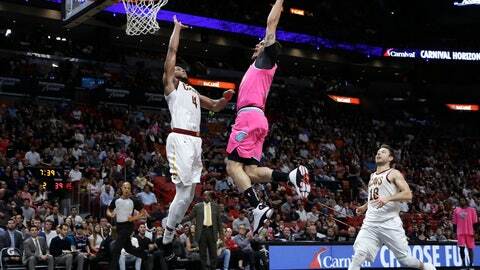 It was the 15th consecutive home win for Miami over Cleveland. The Cavs‘ last win in Miami was Jan. 25, 2010 – a game where LeBron James and Shaquille O’Neal both started for Cleveland. The last time the Cavs won in Miami without LeBron James was Dec. 21, 2001.